Powerball winner Pedro Quezada holds up a promotional check featuring his $338 million jackpot. He owes $29,000 in back child support payments, according to New Jersey law enforcement authorities. Just one day later, deputies from the Passaic County Sheriff's Department were knocking on his door, The Record newspaper of North Jersey reports. They stopped by his apartment to tell him about his overdue child support bill. Quezada is $29,000 in arrears, Sheriff Richard H. Berdnik told the paper. Deputies apparently have not yet been able to reach the Powerball winner. Speaking to reporters earlier this week, Quezada said he was married with five children ages five to 23, and one granddaughter, according to ABC News. He said he planned to assist his relatives with his winnings: "My family is a very humble family and we are going to help each other out." And he noted, "My life has changed. It will not change my heart." Quezada said he wasn't sure what he would do with the money, but the sheriff's warrant squad has some strong advice. "Because of Mr. Quezada's large winnings, generally the New Jersey Division of Lottery would satisfy the judgment before all the winnings are released," Berdnik told The Record. "Like everyone else, until this warrant is satisfied, Mr. Quezada is subject to potential arrest." The sheriff says he's urging Quezada to resolve the payment obligation in a "timely manner". The news report says some of Quezada's children live in North Carolina and that some of the unpaid child support bills stretch back to 2009. It's not clear which children are involved. 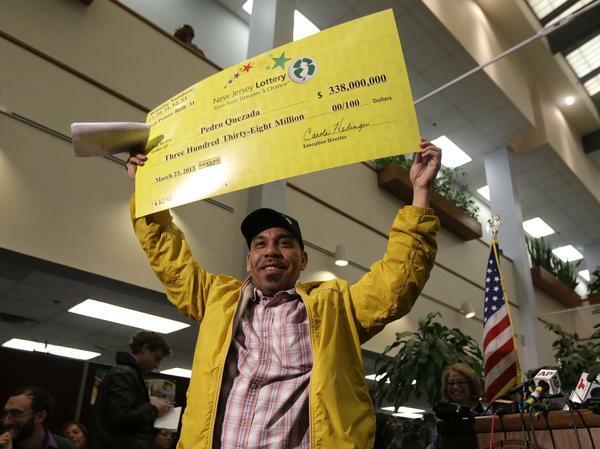 Quezada is an immigrant from the Dominican Republic and owns a small convenience store, which he has put up for sale since his lottery win.